What could revolutionize health care? This database. Forget medical innovation or advances in dietary understanding, from a liberal’s perspective western medicine has gone as far as it can go. The only course now is handing HHS Secretary Kathleen Sebelius and her minions nearly endless data with which to ‘understand’ and thus be justified in directing society’s health care system and financing. So what’s the impetus for all this excitement? My football stadium dreams would involve me playing QB for a Super Bowl champion, and anyone who’s ever dealt with health insurance claims would surely consider a football stadium’s worth to be a nightmare. But this might give us our best insight yet into the progressive mind… their dreams are about large government bureaucracies poring through data. An odd dream, to be sure. But health insurance data is crucial to understand how health care dollars get spent. It shows how people use health care, what’s changing and, in some cases, why. Health insurers, however, have tended to keep that data private, as it could tip competitors off to how they handle business. That all, however, changes today. This morning a new nonprofit called the Health Care Cost Institute will roll out a database of 5 billion health insurance claims (all stripped of the individual health plan’s identity, to address privacy concerns). Researchers will be able to access that data, largely using it to probe a critical question: What makes health care so expensive? Don’t get me wrong, I’m sure the new data could help identify potential efficiencies in how the federal government spends health care dollars. But this mindset leaves intact the premise that it should be the federal government’s role to massively subsidize and mandate how health care dollars are spent. Basically, it agonizes over how dollars are spent but refuses to address the implications of who is doing the spending. 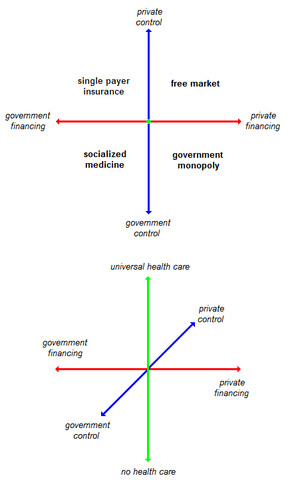 With health care, the who is dominated by third parties, either employers or the government. That basic incentive structure (see #1 here) inevitably leads to a focus on quality with cost-control taking a backseat. Now that all the data is in one place, researchers can start to tackle questions like: Where is health care expensive? Are certain procedures driving up prices? Is health care becoming more costly because of higher prices or volume? Kliff closes with a discussion of the Health Care Cost Institute’s initial report, including a chart with the caption “Health care prices outpaced general inflation between 2009-2010”. The new database has helped them to answer how prices have done so, but why should have already been clear. All you need to do is look at another area notorious for wildly outpacing inflation: college tuition. What does it have in common with health care? Massive government subsidies. This entry was posted in Daily Breakdown and tagged Ezra Klein, health care, Health Care Cost Institute, IPAB, Kathleen Sebelius, ObamaCare, sarah kliff, Washington Post by frack. Bookmark the permalink. You are missing the point. Health care is at an unsustainable percentage of the GDP. This database includes the 87% of Americans that are not covered by Federal or State insurance programs. This data in the right hands could help curb the 10% of heal care abusers that drive the prices through the roof for everyone…. The best way to curb ‘abuse’ is to have ‘abusers’ pay for care with their own money. Analyzing cost doesn’t solve the problem of misaligned incentives. Also, you yet again surrender personal liberty by having a third party arbitrarily decide what is and isn’t abuse. 999 It’s a cologne manufactured for men relating to the ages of 35 and 53, and should be worn for the duration of the daytime. I’d move forward to invest so long as attainable chopping it up which has a fellow geek, each of the whereas not advertising anything.